The Employment Research Institute (ERI) carries out robust and reliable, empirical and theoretical research on employment related issues. The ERI provides solid evidence based on the best scientific techniques performed by a professional multi-disciplinary research team. The institute is part of the Business School at Edinburgh Napier University: an innovative professional university, delivering highly employable graduates, relevant research and business solutions. The ERI’s core dedicated research staff of twelve includes expert policy analysts, statisticians, sociologist, geographers, and economists. It can also draw upon the expertise of ‘associate’ academic staff located throughout the University. The institute has particular expertise in conducting cross-national research on employability and activation. Funders of ERI research have included amongst others: the European Commission; the Equality and Human Rights Commission; the Equal Commission Northern Ireland; the UK Commission for Employment and Skills; the Joseph Rowntree Foundation; the Department for Trade and Industry; and it is a ‘framework provider’ of research services for the UK Government Department for Work and Pensions; Skills Development Scotland; and the Scottish Government. Professor McQuaid’s recent research has been on employment, activation policies, employability, local labour markets, transport and development, social inclusion, travel to work, partnerships, entrepreneurship and local economic development strategy. In addition to his academic publishing, he has been a consultant for various national and local government agencies, the European Commission, private firms and third-sector organisations. Matthew joined the Employment Research Institute in 2006. Matthew has a first degree in history and political philosophy. His PhD research analysed the role of self-employment in rural peripheral areas to address economic decline. Matthew has taught in social and economic disciplines at a variety of universities. Since joining the ERI his research has focussed on the delivery of welfare reform and the implementation of employability and welfare to work programmes. Matthew has recently published on Pathways to Work reforms and an evaluation of UK government skills strategies. He has recently completed reports for the Scottish Government, Barnardo’s, the UK Commission for Employment and Skills and several Regional Development Agencies. 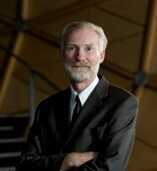 He is currently working on a longitudinal study of on the role of the Third Sector in the Delivery of Public Services. Researcher at the Employment Research Institute, Vanesa has a degree in Sociology and Political Sciences from the Universidad Complutense de Madrid (Spain), and an MSc in Social Research from Edinburgh Napier University. 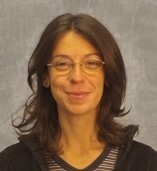 Her research interests include labour market disadvantaged, employability, recurrent poverty and older workers. Her work has been primarily, on the evaluation of the impact of ‘Working for Families’ a four-year project commissioned by the Scottish Executive.